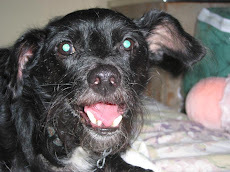 My dog says KitCat is excited to share his thoughts with you on Instinct's minced cat food. Made by Nature's Variety, we sampled the chicken recipe. Was it a hit or a miss? Let's see. 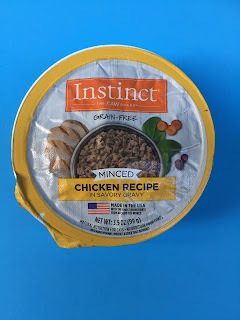 Instinct by Nature's Variety minced cat food chicken recipe has a great ingredient list. The first five ingredients are chicken broth, chicken, chicken liver, egg whites, and ground dried peas. There are also an assortment of fruits and vegetables, including spinach, carrots, artichokes, cranberries, pumpkins, tomato, blueberries, broccoli, cabbage, kale, and parsley. Instinct comes in handy trays with foil tops. This makes feeding super simple. As for the food itself, we really liked the minced meat. It was smaller than chunks and a good size for KitCat to eat easily. We split up the food and gave half for breakfast and half for dinner. If your cat is a big eater (or doesn't eat kibble as a supplement), giving the full serving would be a very filling meal. 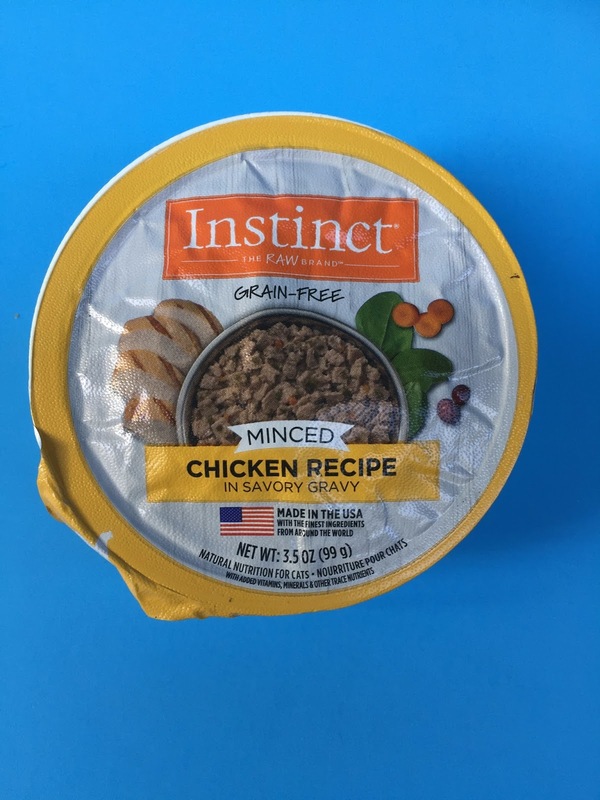 On chewy.com, the 3.5 ounce Instinct cat food cups are $21.48 for 12. It's a little pricey, but it's a good quality food, easy to use, and KitCat always licks his plate clean. KitCat really loves this food. He finishes every single bite of it and eats with enthusiasm. That's the best we can ever hope for, so we enthusiastically give this food four out of four paws!